Staying active has become an integral part of many consumers’ routines, as the quest to stay in shape and stay healthy is at the forefront of many people’s minds. 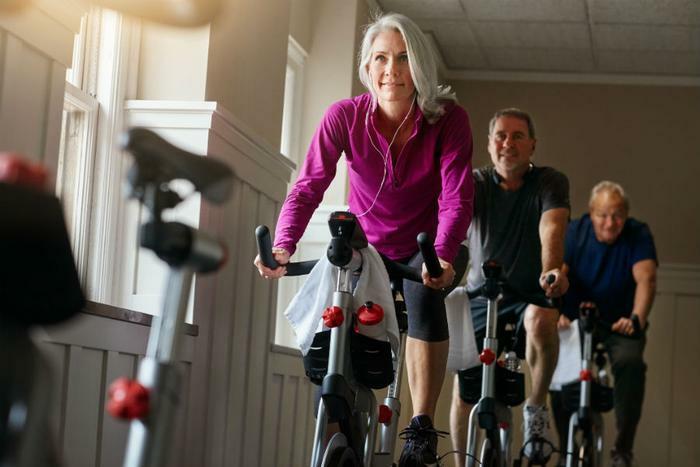 However, a new study found that even the most active people could be at a risk of developing heart conditions if they have poor cardiorespiratory fitness. Cardiorespiratory fitness refers to the body’s ability to supply oxygen to the muscles during physical activity. “Even a small increase in fitness could have a large impact on health,” Dr. Nes said. To test the way cardiorespiratory fitness affects any potential future heart complications, the researchers tested over 4,500 men and women -- all of whom participated in a Norwegian population-based health study between 2006 and 2008 and had no history of serious health complications. The participants exercised on a treadmill, starting out slow, and eventually building up to a steady, fast-paced run. All the while, the participants wore a heart monitor and face mask to measure their oxygen intake. Nearly a decade later, the participants returned for a follow-up evaluation. The researchers found that those who had better cardiorespiratory fitness were more likely to avoid any cardiovascular issues. Dr. Jon Magne Letnes, the study’s lead author, was pleased with the positive nature of these results. He’s hopeful that moving forward, both physicians and patients will be more inclined to stay active. There are many ways consumers can incorporate healthy habits into their daily routines in an effort to promote good heart health. For starters, the American College of Cardiology (ACC) and the American Heart Association (AHA) recently updated its blood pressure guidelines with the goal of helping millions of American prevent heart disease. The researchers redefined the standards for normal blood pressure, high blood pressure, and hypertensive blood pressure, which will now diagnose many more people -- mainly young people -- with high blood pressure. However, the researchers are hoping it will serve as an early intervention of sorts, as doctors can step in and hopefully prevent any cardiovascular issues before they become serious. If patients and healthcare providers stick to these new guidelines, the researchers predict that over three million cardiovascular episodes can be prevented. Moreover, maintaining a healthy body mass index (BMI) can also be effective in staving off heart disease. A recent study found that having a higher BMI was associated with a greater risk of mortality, mainly due to the increased risk of developing several different kinds of cancer and cardiovascular disease. “The findings highlight the need for a global effort to reduce the surging levels of obesity within society and suggest that in most cases, any reduction in body mass index to a normal, healthy level is likely to be beneficial,” said Dr. Kaitlin Wade.